Tas Restaurant is remarkable Turkish restaurant that offers an imaginative menu to feast on. With tapas style dishes, comfortable seating and stylish decor, Tas Restaurant gives fine dining a whole new meaning. Taz restaurants are good food, good value and usually enjoyable. Unfortunately the two current managers at the branch in The Cut have a great deal to learn about customer service - they would do well to start with a class on smiling; then learn not to give military instructions on how to reach the toilet, and then learn that if a customer buys drinks for people he is chatting to at an adjoining table, the drinks can and should be delivered to them. I came here with my sister for her birthday, along with a few friends. I must start by commenting on the staff members - they were absolutely fantastic. I walked into the restaurant with a birthday cake for my sister, and the waiter at the reception quickly offered to refrigerate it for me, and later in the evening himself and his crew came and sang for my sister. They even provided candles on the cake - as I had forgotten to bring candles! They were very friendly and helpful throughout the evening. In terms of the food, it was sumptuous as usual (this is my third visit to Tas restaurant). From starters to desserts, it was indeed a splendid experience. Everyone had a great time, and I would go to Tas again! We visited Tas Restaurant on Tuesday evening and I have to say it was lovely! Such a homely feel to the place and really friendly staff. The food was delicious although I did feel the hummus needed something else (the starter with lamb was a little boring after a few mouthfuls). All of our main dishes came out together and they were good size portions and delicious! I have to recommend the baklava which topped off our dinner so well! I would definitely recommend an evening with friends here or a romantic night out. The restaurant is tucked away near to St Paul's and inside is so welcoming and warm. A lucky find and one I would love to go back too soon. It is a very nice restaurant. I go there often and i have almost tried all foods and they are really lovely. Service is so fast and workers are very polite to costomers they are always smiling. 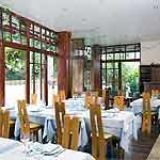 This restaurant has got special menues as a group menu which has got so many starters and maincourse also if you dont want to eat so much they have sahan menu which is one starter and one maincourse and they have lunch menu from monday to friday between 12 and 5 pm these menues are really cheap and delicious. You can try lovely turkish deserts here like a baklava. I think it is one of the best restaurants in london you have to try it. Our group of four all agreed this was an outstanding restaurant - all dishes were extremely satisfactory all round. Mine had lovely individual flavours that synthesized perfectly. Ingredients obviously fresh and high quality, subtle and satisfying uses of flavours. Portions ranged from good to very large. Felt we were abroad, not London, as the atmosphere was full of life and Turkish ambience, very welcoming, sumptuous yet somehow homely folk decor - and relaxing unobtrusive live music in the background all contributing to the atmosphere. Prices surprisingly reasonable at around a tenner a head. The service was faultless. Really one of the best restaurants Iv'e been in for years. And all of this is true. Richard M.
I am not sure which Tas Restaurant some of these reviewers are referring to-- there are a few and they have slightly different names. I am Turkish and whenever I am in London I go either to the one in Bloomsbury or to the one in Southwark. The former has a more contemporary Meditterenean feel, efficient, light, airy, and the food is very good and, in my experience always fresh. Atypical of Turkish restaurants there is a cracker of a young woman "head waitress" of sorts there who is especially great. I do think I prefer the food at the one in Southwark though- this one is a more "folkloric/rustic" twist on the Turkish food theme and they actually serve "pide" (which many folks will have heard described as "Turkish pizza", so not to be confused with "pita"), an amazing range of varieties of it. The last time I was there I just couldn't believe the quality of the food-- some of the dishes were more nuanced and refined than I have ever had in Turkey (and I am not talking about tourist restaurants). Also lost on punters who are not very familiar with TUrkish cuisine may be the fact that there is some very interesting and innovative dishes on offer here-- rare for Turkish restaurants, especially overseas. If I had to find one fault I would say the seating-- in keeping with the traditional "floor sitting" feel they are a bit too low/tight... and also, I think the dessert menu could be raised up a notch and go beyond the few things on offer-- certainly it is a category below, in terms of range and sophistication, of the mains/mezes etc. on offer. Anyway, I would never think about taking any guests anywhere other than Tas and I only wish they'd open some restaurants up North (of England I mean)! After enjoying a fab night out at the theatre, decided to stop by this restaurant en route home,as most other places were closing . Nice welcome, wine OK, Houmous Fab, Bread, not bad, starters ,seafood soup too salty terrible, main Liver, with onions, absolutely diabolical. Shite, the worst I have eaten in London, and I Like my liver............. Said to the waiter I was not happy, he just smiled and asked would I like to take it home, service terrible, by then I had to leave, I have a lot of friends that visit London from abroad, I would definitely not take them there to eat, and yes a waste of £40.00 for two crap starters. and yes I will be calling to talk to the manager. A very disappointing meal with possibly the worst Moussaka that I have ever eaten - it was mostly mush - and was certainly not layered at all. My wife's minced lamb dish was even worse with a totally inedible mush of what was supposed to be aubergine. At least we had not parted with a lot of money and we shall certainly not be returning. No one asked whether we had enjoyed our meal or thanked us when we left - luckily the wonderful theatre later improved our mood rapidly! Tas is my favourite place to eat. It is not too expensive, and there is a huge range to choose from. The service is always excellent. I am vegetarian and there is a lot of great vegetarian good, but great for meat eaters too. Tas has about 6 restaurants around London and I've been many times. 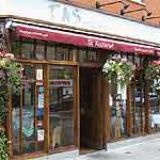 Tas on The Cut is part of a small but very successful chain of restaurants in London that don’t break the bank but give your tastebuds a real treat. Anatolian in origin, they offer something for everyone with a very rich and varied menu. Found literally a stone’s throw from Southwark tube station, or a five minute walk from Waterloo station, Tas on The Cut couldn’t be easier to find – just head for the hanging baskets of flowers and greenery surrounding the floor to ceiling windows. Once inside the restaurant, which obviously prides itself on presentation, the clean white tablecloths and linen napkins adorn the uniform tables with high-backed dining chairs giving the restaurant an immediate feel of something a bit special. The floor is part wood and part stone tiles lending a Mediterranean feel to go with the whitewashed walls. As soon as you walk through the door you are greeted and welcomed like an old friend returning for dinner, whether it’s your first or hundredth visit. Relaxed and calm even when busy, the staff are very helpful, friendly and knowledgeable about the food and wine they serve – nothing seems too much trouble to explain. Turkish music plays in the background, giving the restaurant an authentic air. Tas on The Cut attracts a lot of after work suits during the week and business lunches but at the weekend has a more mixed clientele with families, tourists and locals all mixing together and enjoying the atmosphere. There is an absolute array of delightfully tempting dishes on offer so try to be decisive otherwise you’ll be here all night – not that they mind, but you might get hungry deciding! Everything on the menu is made with the freshest of ingredients and prepared on the spot, so you may have to wait a short time for some dishes – but it’s definitely worth it. . Obviously the menu changes from time to time and if there is something not available the staff will inform you when they give you the menu, which is rather polite – there’s nothing worse than taking ages to pick something to be told it’s run out. The Turkish mezes are always very popular as they do them so well. There are various special menus on offer for a minimum of two people and cost around £10 a head, or you can just choose the dishes individually for a more tailored approach. A must is the hummus and cacik dips with homemade traditional pide bread. the large portion of hummus is thick and pale in colour, with a tangy lemon flavour whilst the cacik is also nice and thick with strips of cucumber and fresh mint, served with or without garlic. Hot starters include four soups, red lentil, chicken and coriander, vegetable and a traditional Turkish watery broth made with mussels, ginger and celery – very tasty, light and mild but with all the separate flavours instantly recognisable. Patlican-Biber Kizartma – a mouthful in more ways than one – is made of perfectly cooked, soft aubergine in tomato sauce with peppers and yoghurt on the side. Fresh from the barbeque grill and served with couscous (unless otherwise requested) comes a healthy choice of steak, chicken wings, liver, kebabs of different meats and cuts, and vegetables, ranging from £4.15 to £11.95. Tas restaurants are renowned for their stews and casseroles this location does a mean incik – lamb in tomato sauce – is cooked until it falls off the bone and is melt in the mouth perfect. The dessert menu isn’t too long and is much easier to choose from with traditional Turkish delights in the way of baklava and sutlac, a warm rice pudding flavoured with rose water and orange rind – a very different way to enjoy the old English classic. You can’t fail to be impressed by Tas’s extensive wine list with bottles from around the world. A highly recommended white is the Veramonte Chilean Sauvignon Blanc, with an easy drinking dryness that goes well with most dishes and a clean, slightly lemony and crisp apple flavour. If red is more your thing then the Tas house red – Turkish, of course – is very drinkable with quite a robust berry spiciness that tastes better quality than a standard house wine. There are also lots of other drinks to choose from if you’re not in the mood for wine such as spirits and a full range of liquors. Beer is unfortunately limited but fresh juices are available. The wines range from £13.20 to £31.95, Champagnes and sparkling wines range from about £16 to £40, soft drinks are around £2 and spirits and liquors are about £3 to £4. All in all, it’s a very modestly priced drinks menu for Central London. There really is something for every palate here at Tas. The prices are very reasonable for the size of the portions and the freshly cooked ingredients – try it, you won’t be disappointed. My boyfriend and I went to Tas as the tapas restaurant we usually go to was closed. The service was great but the food was not...the starters came out looking old- the lettuce and tomato which comprised of the salad looked like they should have been thrown out days ago. The main course was much worse...we had the very rubbery fish (which came out in tinfoil) and a very dry chicken shish. We would have been better eating at the kebab take away down the road! Be warned the service charge is not optional!!! !Bad service and they still expect you to pay it (I am more that happy to tip good staff for good service). The manager will argue if you refuse to pay all or even part of it as we did. 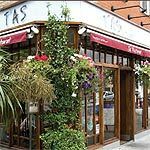 My boyfriend and I went to Tas Restaurant on a bit of a whim after a shopping spree in Oxford Street. The restaurant had been recommended to us by my mum and it was a lovely way to finish the evening. The atmosphere was great, the service was fast and couldn’t be faulted at all and the food was great. We went for the £9.95 deal and the food was plentiful and delicious! We would definitely go back for seconds! Be warned however - Tas do add a service charge. I and eleven colleagues went to Tas Restaurant a few days ago for a team lunch. We had the vegetarian mezze-style set menu, with some additional sea food and a meaty-humous dish. The surroundings were lovely, and the service was speedy and attentive. The food at Tas Retsuarant wasn't particularly tasty, and all of the dishes had generous helpings of dill which gave them a similar flavour. Worst of all however, some people had upset stomachs the next day. I went to Tas Restaurant with five friends on for dinner. Two of the party subsequently became ill with diarrhoea and vomiting. If that wasn't bad enough, the Tas Restaurant was so noisy that we couldn't hear the conversation from one end of the table to the other. The addition of loud live music did not contribute to a relaxed eating experience. My advice: go elsewhere. Went to Tas Restaurant last night (Tuesday). First impression was the aroma, it really did smell like being on holiday! All tables at Tas Restaurant were fully booked so we were sent to their sister restaurant which is over the road and under the arches (looks like a garden centre from the outside). The ambience and atmosphere seemed equally buzzing and we had an excellent meal. Very generous portions on the starters and I had lovely swordfish. I thoroughly recommend it. Only downside was the slightly over-attentive waitress but the food and atmosphere could not be faulted, especially for a Tuesday night! We spotted Tas while en route to the Baltic restaurant in Blackfriars Road. The Baltic was shut, so we returned to Tas. What a great find! We received a warm welcome at the door. The food was superb, and well presented. A basket of bread, olives and herb butter arrived as soon as we sat down. The service is attentive but not intrusive. The staff do not come over to fill your wine glass every five minutes (a practice that usually drives us nuts!). Although we favour music-free restaurants, the music here did not intrude. Tas is brilliant, a very modern Turkish dining experience. The decor is light and airy and it appears a more expensive restaurant than it actually is! The food is very traditional and incredibly fresh and well presented. the Borek (cheese in filo) was delicious and all the mains came with lovely fresh yogurt and amazing fresh bread. As a vegetarian I was overjoyed at the choice and the meal was so good and such fantastic value it was hard to believe. Tas has excellent food (and lots of it), is very veggie-friendly. It has a lively, buzzing atmosphere and provides good service and prices. Highly recommended!